Not one but two idiots. 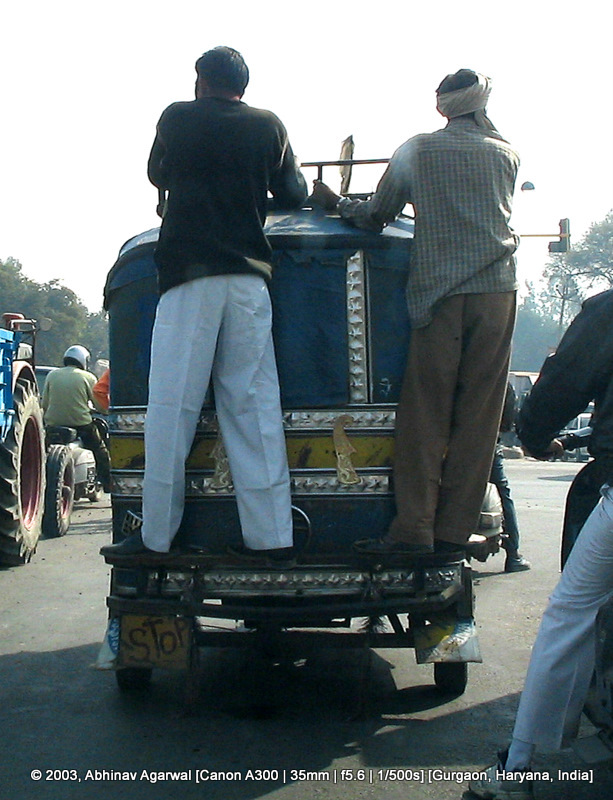 In the North Indian city of Gurgaon, shot in 2003. Standing behind an autorickshaw, on top of what seems to be a reinforced rear bumper, these two idiots would look resplendent and regal were they dressed in military uniform, standing on top of a jeep's rear fender. The gentleman on the left seems to have reasonably starched white pants, and black boots. Pity. So near yet so far. By the way - can you spot the license plate on this vehicle?